China’s bike-share firms must switch gears in U.S.
Mobike and Ofo, the People’s Republic’s two biggest dockless cycle-share startups, are cruising into American cities. Aggressive expansion makes sense in this winner-take-most market. But city officials and local rivals may force them to hit the brakes in unfamiliar ways. A row of 'Mobike' hire bicycles is seen in Manchester, Britain August 30, 2017. 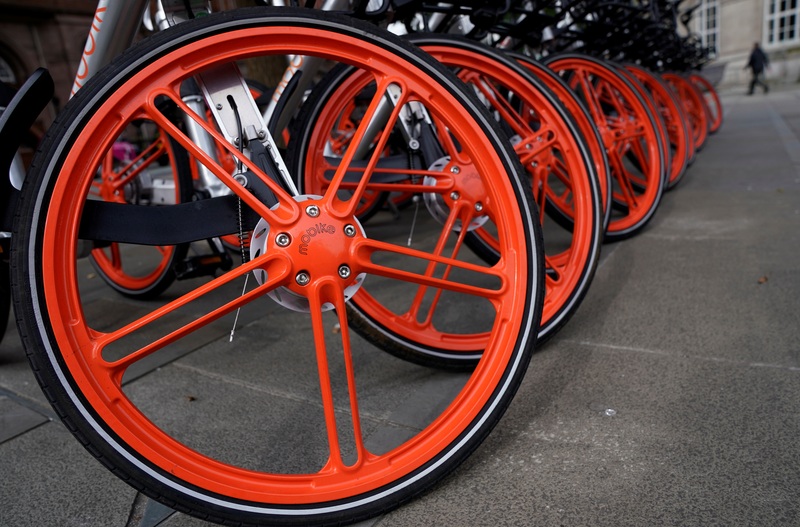 Mobike, the dockless bike-sharing operator from China, launched in Washington, D.C., on Sept. 20, marking its first foray into the American market. Ofo, its top rival, entered Seattle in mid-August before expanding to Washington and cities in Massachusetts and Colorado. The Chinese firms join several American firms such as LimeBike, Spin and others.